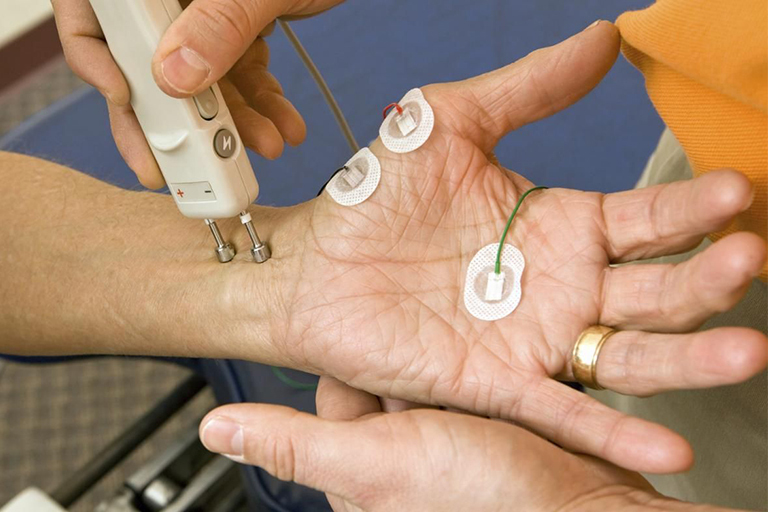 An electromyography (EMG) measures the muscle's response or electrical activity in response to a nerve’s stimulation of the muscle. This test is used to help detect neuromuscular abnormalities. 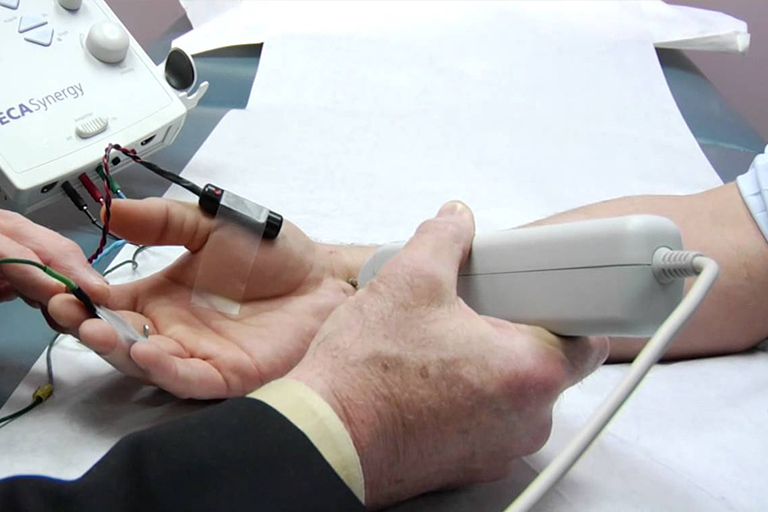 During the test, one or more small needles (also called electrodes) are inserted through the skin into the muscle. The electrical activity picked up by the electrodes is then displayed on an oscilloscope (a monitor that displays electrical activity in the form of waves). An audio-amplifier is used so the activity can be heard. The EMG measures the electrical activity of muscles during rest, slight contraction and forceful contraction. Our team of expert Detroit Physical Therapists will design a treatment plan based on your goals, life style necessities and work related needs.